As business owners we are constantly reviewing our profits, where we need to cut back, where we need to invest, and what aspects of our business we could improve. Many think of the usual suspects when considering any number of these subjects, but have you ever thought of investing in quality training programs? Often times, employers overlook investing in training programs because they think training costs are too high, especially if you have to keep training employees. Many companies struggle with hiring great employees, and even more so with retaining them. Why? Because often times training is insufficient. When employees aren’t trained correctly or continuously as they are evaluated, the potential to increase the pool of experienced and proficient employees to assume higher-level positions are greatly decreased. Extensive training programs ensure employee standards are not only maintained, but that every employee will receive the nurturing they need in order to supersede company standards. The more skills acquired by your employees, the more they grow and the more your company thrives. Quality training programs ensure your employees will always be challenging themselves, learning new and useful skills that add value to their work. Employees are not just someone to come and clock in and out—your employees are here to develop and prosper alongside the organization as a whole. By giving them the opportunity to train and up-skill, you are not only providing programs that will benefit them, but also benefit you. As employees are given training they are provided the opportunity to develop crucial skills sets that allow for the ability to perform a variety of tasks and assume higher level positions. When employees receive attention, praise, and evaluation from their employers, they begin to care more about their work. Offering employees a way to work on themselves through these training programs, and showing that they are worth the effort will inspire them to constantly think of new ways to prove themselves. All of this in turn nourishes growth of innovation, productivity, and ultimately creates a more unified work environment. 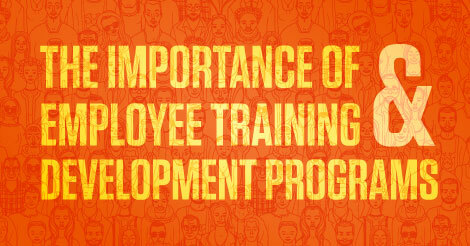 Overall, effective employee training programs are essential to a successful business. Investing time in all your employees is just as important as investing time in your business. 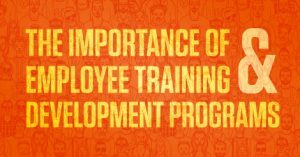 So next time you’re poring over your files and looking for something to progress your business, look into investing in employee training programs.